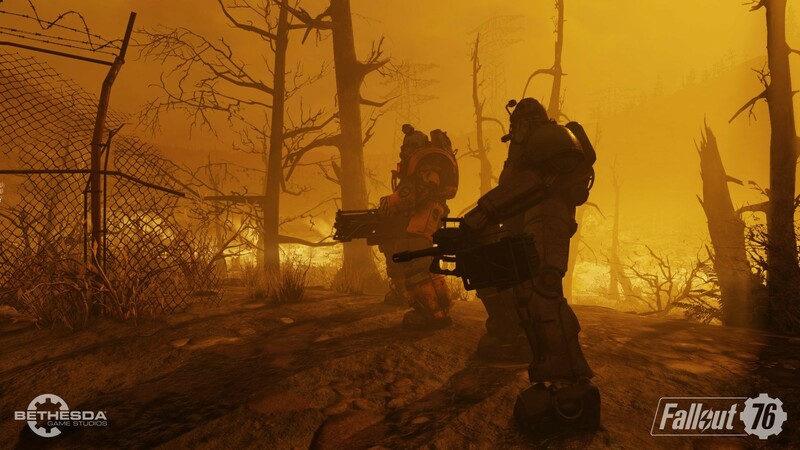 The final beta session of Fallout 76 kicks off in less than 24 hours, and Bethesda decided to take the downtime today to address the community on what changes it is working on implementing for launch and later. While issues in the social areas of the multiplayer title and other prevalent bugs will be resolved at launch, it seems several highly-requested PC specific features won't be in the game at all. Bethesda Game Studios has confirmed that although ultra-wide monitor support will be available post-launch, both push-to-talk and field of view (FOV) slider functionalities are not planned for now. The decision to not include a push-to-talk key on PC was attributed to the studio wanting to "highlight that the world is alive with real people," and it hopes that the lack of one will encourage player interaction. The absence of an in-game FOV slider, on the other hand, is not really a surprise considering previous games by the studio have also skipped out on it. Bethesda explained that this is due to animation and clipping issues that appear on the screen when the first-person FOV is altered from the default setting. Push-to-Talk: While we aim to create a consistent experience no matter what platform you’re on, we understand that some of you on PC would like the option for Push-to-Talk. Our goal with voice chat being on by default is to highlight that the world is alive with real people, other players like you. We like to start with encouraging player interaction and will look into adding this in the future be adding this in the near future. It's unclear if the recent frame rate hard lock that was enforced on the PC beta will be present in the full game as well. The 63 FPS limit was most likely put in to stop players from abusing the physics glitches that happen at high frame rates in the game engine. The aforementioned final beta session is slated to start at 2pm ET and run until 8pm ET on November 8. Don't forget that everyone who's pre-ordered the title now also has three additional beta keys to hand out. Fallout 76 will launch in full on November 14 for PC (via Bethesda.net), Xbox One, and PlayStation 4. The PC system requirements can be seen here. Update: Bethesda has since updated their response regarding Push-to-Talk capabilities, indicating that it will be added in the near future.